It’s been a minute since I took a look at Marvel Unlimited, and the recent update 2.2 is significant enough that it’s a good time to re-examine. 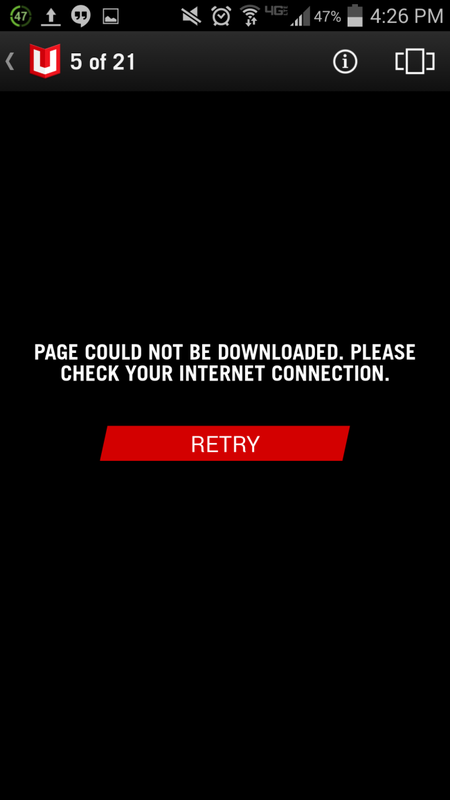 My undying love for Marvel Unlimited (seriously go subscribe) is often combated by frustrations with the app experience. Nonetheless, this hasn’t prevented me from using the app daily and the experience is improving all the time. So, how far does update 2.2 move the needle for Marvel Unlimited? Whether it’s smart panels that don’t appropriately transition between panels, a failure to update for Android, or any other number of bugs and quirks, I’ve had my share of issues with Marvel Unlimited. I’m certainly not alone, as many comic book fans have expressed their displeasure with a faulty experience both on Comic Book Herald and in the iTunes and Google Play app stores. The average rating for Marvel Unlimited is 2.5 in iTunes and 3.5 in Google Play, and both those figures are significant increases since launch in March 2013. Nonetheless, I like to remind the young guns in the audience that Marvel Unlimited has actually existed as a service long before the app. There were days when Marvel maniacs like myself would walk both ways uphill in the snow just to sit in front of a desktop and read comics on a full-size computer screen. When we had finished our Black Panther and Daredevil, we rode dinosaurs into caves and dammit, we liked it. 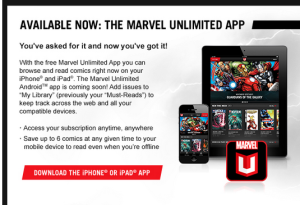 So the unanticipated launch of the Marvel Unlimited App in March 2013 (at the time the Marvel Digital Comics Unlimited, or MDCU), was a welcome surprise, but it has always felt like a bonus to me. That said, as more and more users have signed on with the app as the expected source of comic reading, expectations and criticism have grown. Thankfully, so have the Marvel Unlimited developer’s ability to improve the experience. One of the coolest things about the Marvel Unlimited app updates lately is that they seem to be clear responses to user feedback. 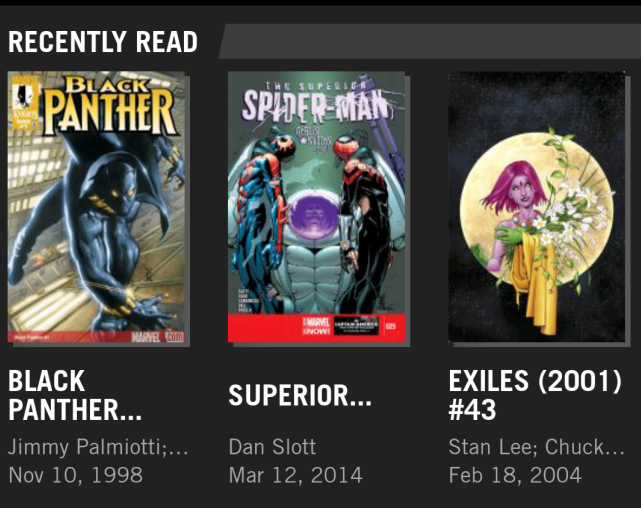 In March of this year, MU added a “read next” button, a highly demanded option to proceed to the next comic in a series, and the addition has made my comic book reading experience a lot better. This seems to apply double for update 2.2 which feels like all reader feedback, all the time. The core part of the update is that comics are now “streaming,” meaning you don’t have to load the entire comic before you can begin reading. This may not be a huge improvement for some readers, but if you’ve ever been on a slow WiFi connection, you know that being trapped in a red loading bar is about as fun as sharing a night’s rest in a twin bed with Juggernaut. The downside here is that if you load the first three pages of your comic, and then dive right in like a hurricane, you may outpace the app’s ability to actually load comics. I’ve run into this a bunch where the app hasn’t loaded a page (it always seems to be page 4), and I then have to ask it to retry streaming or hop back to the comic detail page and try again. The real upside of this development is that when you get close to finishing a comic, Marvel Unlimited will automatically start streaming the next issue in the series. This is a huge time saver, and I’ve already found myself taking the awesomeness for granted as I fly through David Michilinie and Todd McFarlane’s run on Amazing Spider-Man. As a whole, the streaming is a bit buggy (occasionally comics won’t load, or I’ll get caught in an endless “retry” loop) but I’m yet to hit an issue that simply backing out to the comic detail page wouldn’t solve. Did you try plugging it in? The other major upgrade is Marvel Unlimited saving your place in a comic when you only read part of the way through. I can’t even begin to tell you how many times I’ve had to tell my wife “I literally can’t stop reading this comic,” although to be fair that’s also including graphic novels, floppies, and trade collections. Nonetheless, saving your place midway through an issue when something comes up or you simply move on is a nice add, and you’ll find this “Automatic Bookmark” feature applied in the Recently Read section. Finally, the upgrade commits to in-app emails finding the customer service team faster, and they actually reference a “new Customer Service team” which indicates Marvel is listening to support problems and looking to improve! Good news all around. The last bit of excitement was launched a few weeks prior to this app upgrade, but I haven’t discussed it yet, and that’s the “Discover” section within Marvel Unlimited. 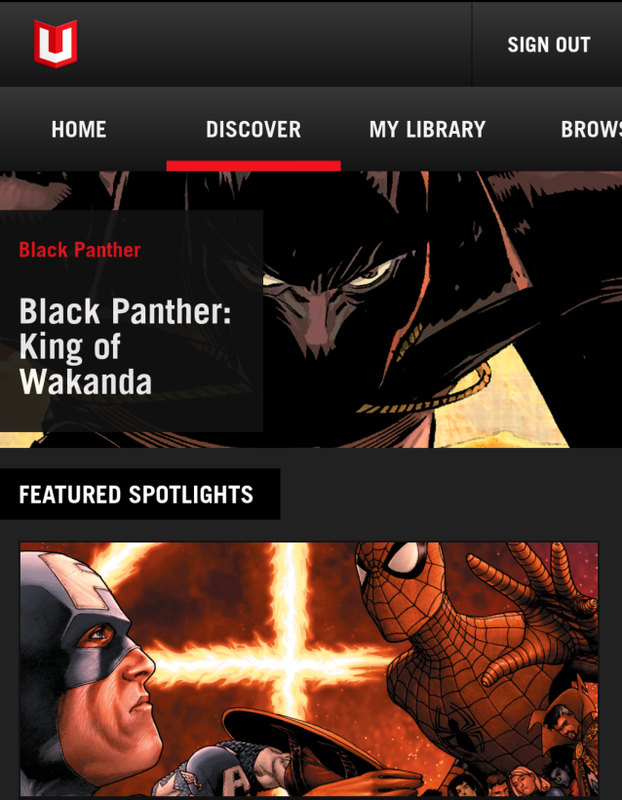 If you haven’t checked it out, “Discover” tab is basically the goal of Comic Book Herald (helping comic book fans find the right reading material, in the right order) condensed into an in-app experience. In addition to my own suggested Marvel Unlimited reading, I highly recommend utilizing the “Discover” feature and checking out what books Marvel is hyping. Generally speaking their comic reading is attuned to Movie or Comic Book Event news, which means it’s great for the reader who wants to keep up to speed with current events and the constantly racing comic book world. What do you think? Happy with Marvel Unlimited as of October 2014? Still think it has a long way to go? Do what feels right to you in the comments. So I’m loving Unlimited but I have a question about Discover. Are you meant to read only their suggested issues as opposed to reading everything in that line? A good example is the current daredevil line. They seem to jump around too much between daredevil fighting crime, defeating Kingpin, becoming evil, and serving time. Also is there a way to see older Discover titles that fall off their main page? They’re pretty jumpy with Discover. I think it’s generally intended just to give jumping on points for new readers, and then if you like what you see, you can continue with the line until it fizzles out. Personally, I prefer guides in story arcs, as you’ll definitely want/need more than the single issue. To my knowledge there’s no way to pull up old Discover recs, but this is worth looking into! Just based on trying it out with one of the free titles that they have available in the app it feels like the app is a bit more responsive and the reading experience on an iPhone is improved (at least with my iPhone 6). I may actually give consideration to signing up for the service now. Reading experience on an iPhone is fairly strong now for newer comics, or any high priority “classics” (first issues of Amazing Spider-Man, Avengers, etc). You’ll run into occasional lesser known series (Peter David’s “Captain Marvel” starting around 2000) where the smart panel reading is a real mess. BUT, again if you’re catching up anything post Marvel NOW on your phone, it’s a good experience. I read almost all of Superior Spider-Man that way, and I’d highly recommend it. On that series alone I basically made up the trade value of purchasing, and I’ve certainly read a LOT more than that.